Do you know how much traffic you are losing if you are ignoring content optimization? This post shows how Linkody nearly doubled its blog’s traffic in one month. Most of us tend to produce content, do some quick marketing and then forget about the content we worked so hard on. That’s a lot of traffic down the drain. What if I told you that a simple content optimization process is the missing piece of your content strategy? After discovering the potential hiding under the bonnet of the Google Search Console and connecting a few dots, we @ Linkody HQ realised that content optimization has huge potential. We noticed that the keywords that bring the most traffic, in most cases, were not the ones we originally targeted and optimised while writing the articles. 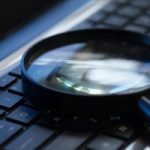 Even if you carry out keyword research with due diligence and pick topics based on that, you will sometimes find that an article has a better ranking potential for other keywords. We realised we were leaving a huge source of traffic on the table and that we could generate a lot more visitors to our articles, using proper on-page optimisation every once in awhile. So, we decided to give it a go! 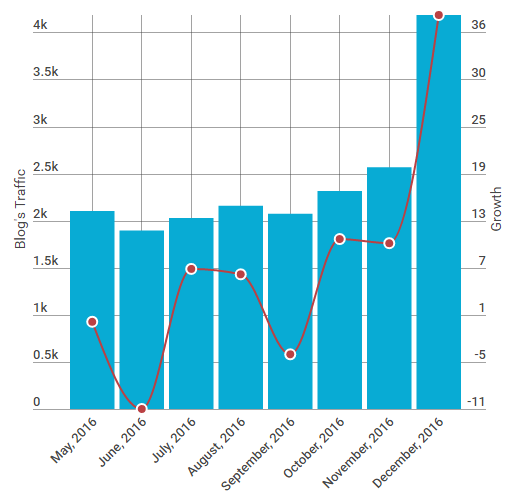 There is more: ever since we made this hack part of our content strategy, traffic has been steadily growing. Moreover, we have noticed that together with the increase of website’s overall authority, the traffic to Linkody’s backlink monitoring tool has been growing faster than before. Before we start: Just so we are on the same page, I need to make sure you have Google Search Console set up & ready. This video guide will get you there. After that’s done – you will need to wait a while before the data is imported. For those already familiar with the Search Console – congrats, that was the most complicated part of this process. Here’s the part where you will learn how to find the keywords which will bring the most traffic, for each of your posts. 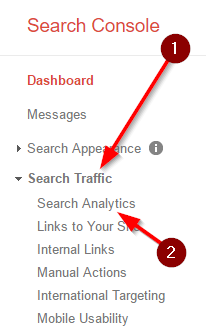 Head over to Search Traffic (1) > Search Analytics (2). Select all the necessary metrics (1) – in this case, we selected all four. Then click on pages (2) to see the site’s content neatly organised. In this case, you will need to organise all the pages according to the clicks (1) – a.k.a according to the traffic. Then, go ahead and click on one of the articles (2). As an example, we will select the “niche-sites-case-studies” post we optimised exactly one month ago. Let’s try to see if there are already any optimisation opportunities. Afterwards, you should click on the queries (1) to see all the keywords by which people can find your article. It gets better, at the bottom of the page you can export all these queries (2). This will give you a CSV file holding a list filled with all the keywords that have ever got an impression from a browser. Keyword search volume will change over time and your focus keyword might be replaced by a trendier query. KW Planner is here to save the day. 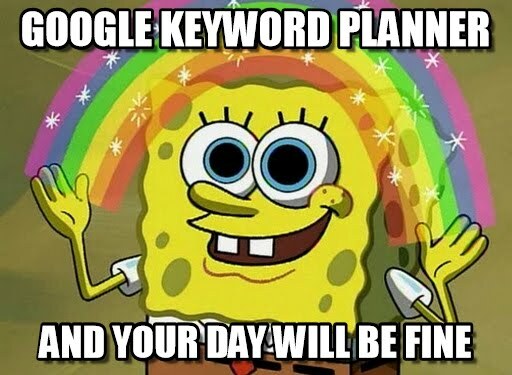 Note: To access the main functionality of KW Planner you have to set up 1 ad on AdWords. It can be turned off after the signup so you don’t have to worry about getting charged. Quick video guide here. Now, let’s learn about spotting new traffic opportunities. Head over to Keyword Planner and click on Get Search Volume Data and Trends (1). Then, upload the CSV file (2) you got from our friend, the Google Search Console. Optionally you can open up the CSV from Google Search Console and copy the keywords to paste into Google Keyword Planner. After you hit “get search volume”, you can organise all the queries according to average monthly searches (1), to see what’s trending at the moment. And then download the list of all the KWs (2). I have created an amazing Google Sheet that identifies content optimization opportunites for you automatically! All you have to do is copy and paste! One from the Search Console with the data from your website. Another from the Keyword Planner with Google’s search volume. 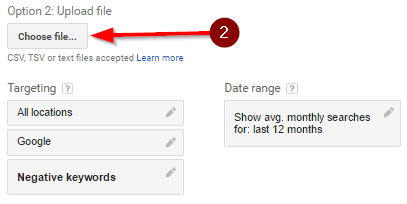 Copy paste your Search Console data in the second sheet (1). And the info from Keyword Planner goes in the third sheet (2). At the beginning of a blog post’s life cycle, keywords that bring the most traffic and have the highest search volume rarely match. And when we look at our blog the query that brings the most clicks is not always the keyword we originally tried to optimise for. This is the optimisation opportunity you should be looking for. 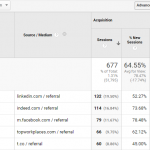 You should generally target the query you find with the highest clicks as your focus keyword. But also keep in mind that it’s worth investigating whether there is a potential to rank for keywords with a bigger search volume. Note: 99% of the time high search volume means high difficulty to rank. 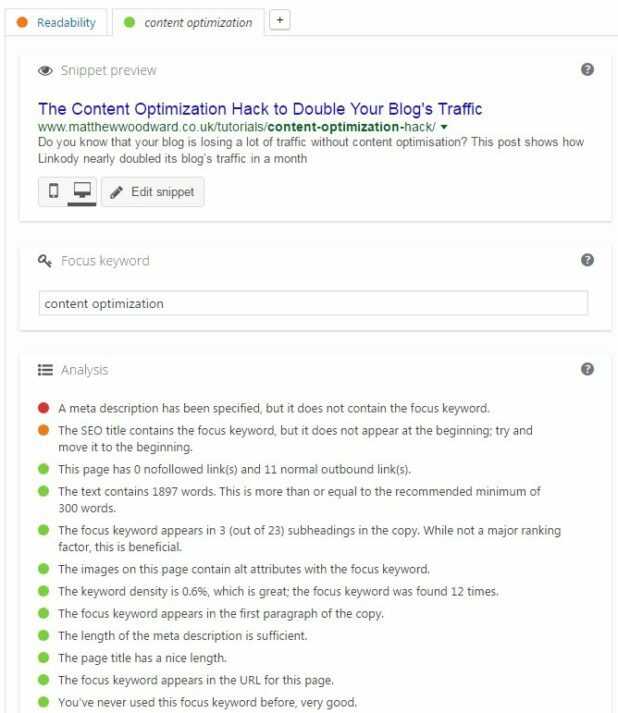 The probability to rank, for the keywords with the highest search volumes increases with time as your blog post matures by accumulating backlinks. You can also give it a further boost by making significant updates to the content. Nevertheless, be realistic about your chances to get organic traffic from high-end queries. In our example above most of the clicks were generated by the keyword “niche website examples” so we will select this as our focus keyword. After checking the blog post, we realised that this specific term appears in the article only once. That means there is great opportunity to optimise for this keyword with some simple on page SEO tweaks. It’s also important to find 3-4 LSI keywords (semantic keywords) as well. Then you want to sprinkle these keywords throughout your article along with your target keyword. To find LSI keywords run a Google search for the selected focus keyword, scroll to the bottom of the page (1) and you will see the related searches (2). Once we know the focus keyword and LSI keywords for the specific post, it’s time to optimise the post. Head over to your blogging platform and find the post you want to optimise. In this example, we will be using WordPress. The headline should start with (& include) the focus keyword (make sure the headline is under 70 characters). Add a clickbait KW to your Headline – best, epic, awesome, deal of the year/month, etc. Drop your focus KW in the first paragraph. Add 3-4 similar LSI keywords in the content. For us it was straight forward, we just added a couple of similar keywords from the list that Google Search Console produced. Make sure your focus KW appears from 0.5% to 1% from the total content. Add a Meta-description that includes your focus keyword. This is a long process but it’s one of the most important elements, without which content optimization won’t really work. Just click on File > Make A Copy to grab a copy for yourself. It’s fairly basic and self explanatory but make sure you fill it out each time you optimise a post for a new keyword so you can track your progress. Knowing you have a problem is the first step towards fixing it. You cannot know if you’re improving without data – so you’ve gotta measure it. For A/B testing we use Google Analytics. It’s nothing fancy, but it’s free and gets the job done (here‘s a great video guide on how to set it up). Head over to Google Analytics and select your domain. It will take some time before you find the right content recipe that works so content optimization should be carried out every ~1-2 months. With that in mind the data should be monitored regularly at the end of each month. To monitor only the organic traffic head over to Acquisition (1) > All Traffic (2) >Channels (3) > Organic Search (4). 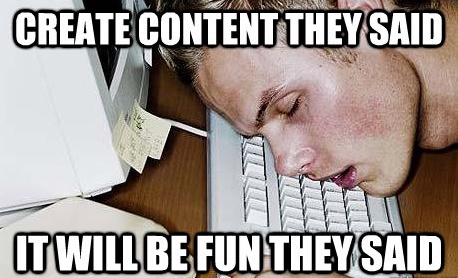 And you will be able to see all your website’s content. Find the post you optimised and click on it. Google Analytics compares the traffic & different metrics for each month so you know the effect of your actions and what to improve the next month. At the end of the day, content optimization is a game of A/B testing – test, see what works and optimise. Discovering what works is also the hardest part and requires the most work. By following this framework, you can make sure that your content performs better as time goes by. For us, it was an amazing discovery. As with many other blogs out there, our posts enjoyed a couple of good months of traffic and then started slowly losing attention. Well, not anymore – now we keep our posts fresh each month and traffic is growing faster than ever before. I hope this guide can help you to do the same. If you are struggling, make sure to share your issues or concerns in the comments section below. I will do my best to help you out. And finally, here are a few questions to harness our collective wisdom: How have you previously dealt with the loss of traffic? Do you have a content optimization strategy in your organisation and how is it different from this one?